Are you looking for a new or preowned Chevy Suburban in the Stillwater, Enid, or Guthrie areas? Make the short 30 minute drive to Perry, Oklahoma to visit us at Vance Chevy Buick GMC. 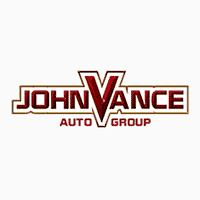 Vance Auto Group has been faithfully dedicated to serving Oklahomans for over thirty years. We have nine full-service dealerships to assist our Oklahoma neighbors. That adds up to a large inventory of used vehicles for you to choose from. If you are considering getting into a brand new Chevy Suburban, come see what we have at our Perry Chevy dealership. We are close enough to be your neighbors. The Chevy Suburban is part of America’s best-selling family of full-size SUVs. It combines truck utility, SUV versatility and the features of a refined luxury vehicle. It offers the best of all worlds. Make a bold impression with its stylish exterior available in expressive colors. Ride in its roomy family-friendly interior with models available to seat up to nine passengers. There are up to 14 USB ports and an available rear seat entertainment system with screens for both second and third row seats to keep everybody happy while running errands or taking a road trip. Stay connected with available Apple Car Play, Android Auto, Chevrolet Infotainment System, 4G LTE Wi-Fi and myChevrolet Mobile App. From off road to sleek city driving, the Chevy Suburban has much to offer in performance, safety, and technology. Fold down the seats in multiple configurations to transport equipment, furniture, or groceries. Check out all Surburban offers in safety features from low speed auto braking, Forward collision alert, rear vision camera, safety seat alert, rear cross traffic, rear park assist, lane and Blind spot alerts and so much more. You can trust Chevy Suburban with your precious family wherever you go. We invite you to take the short drive to Vance Chevy Buick GMC in Perry, OK to discover why we are committed to keeping our Oklahoma neighbors satisfied. Come drive a Chevy Suburban for yourself today.